The dammuso Lantana (with shared swimming pool)is located within a complex of dammusi of the highest quality, set in four acres of pine forest and just a few meters from the sea, which is within walking distance. 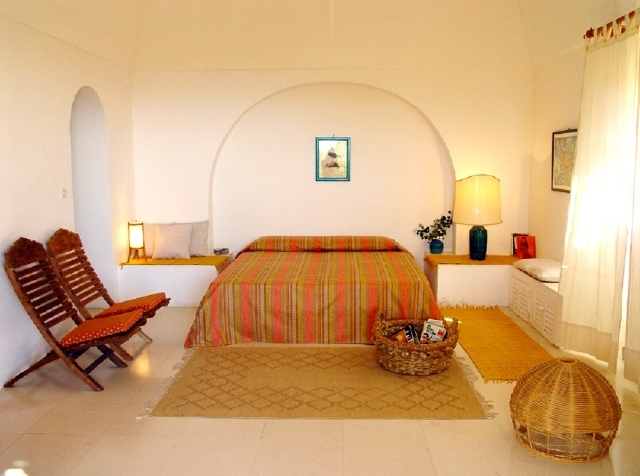 It has a large master bedroom that faces the sea with dressing room and bathroom. 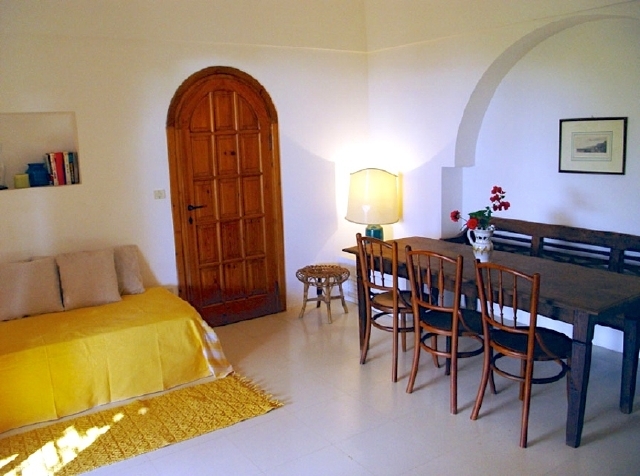 There are also a living room with a sofa and a kitchenette unit, and a second double bedroom with bathroom; floors in both bathrooms have hand painted tiles. 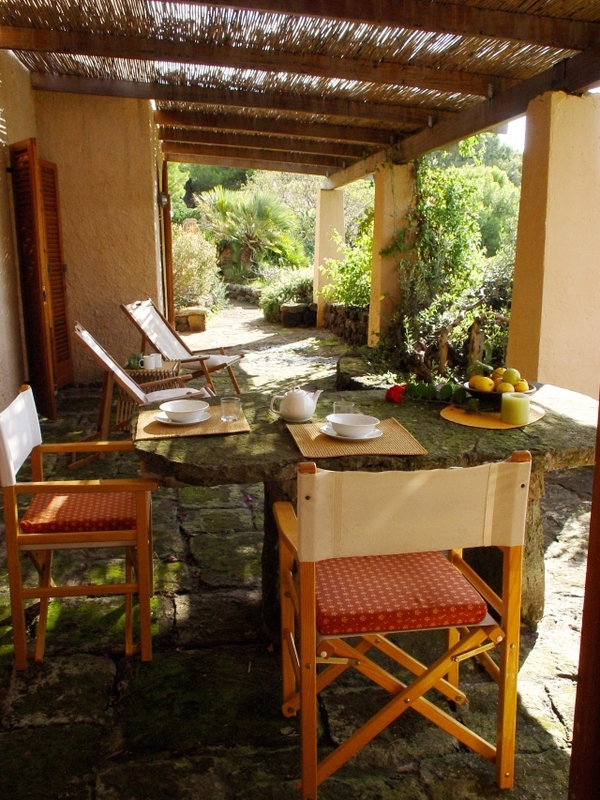 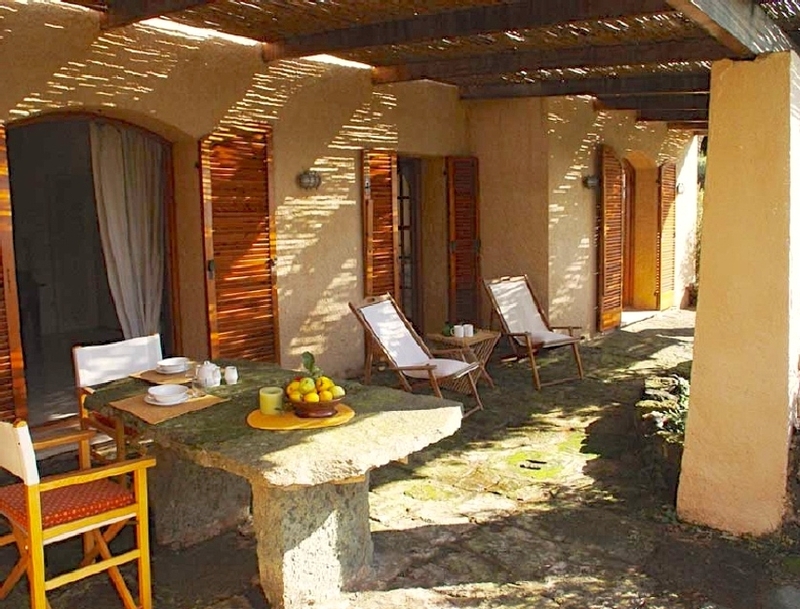 In front of the rooms, all with air conditioning, there is a covered patio that hosts a stone table and, opposite, a large terrace for sunbathing. 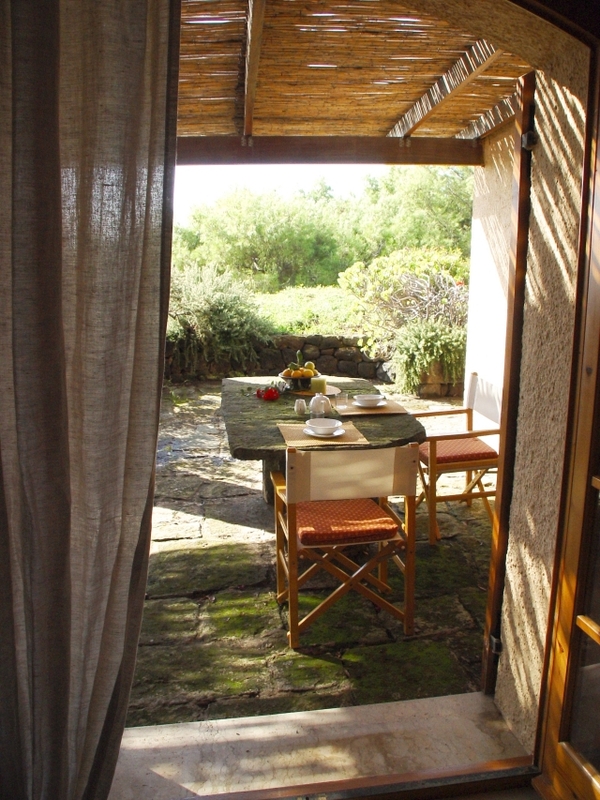 Pines on the back, olive trees and rosemary bushes on the side and front, wrap the Lantana in an embrace of harmony. 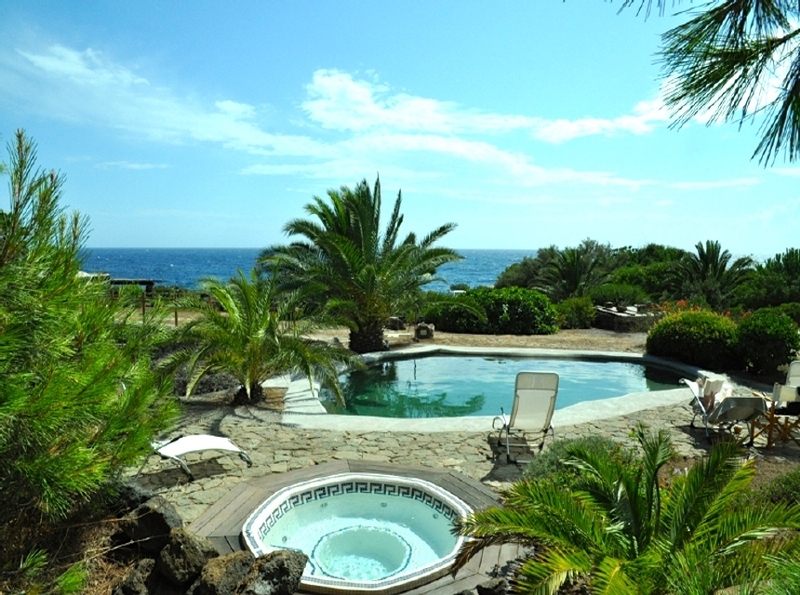 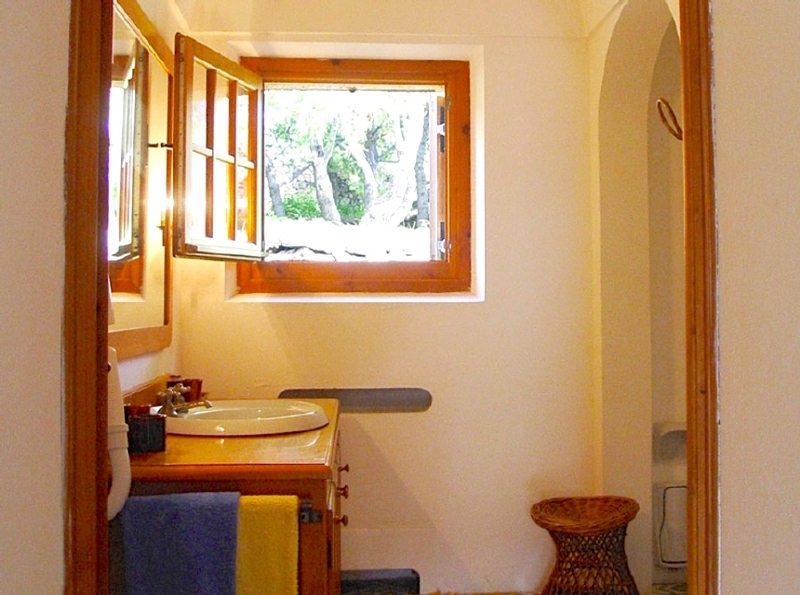 The center of Pantelleria and Scauri are a ten minute drive away. The dammuso Lantana shares with other complex dammusi a large freshwater swimming pool, a wellness pool and a Jacuzzi. During the high season, Dammuso Lantana can only be booked from Saturday to Saturday.